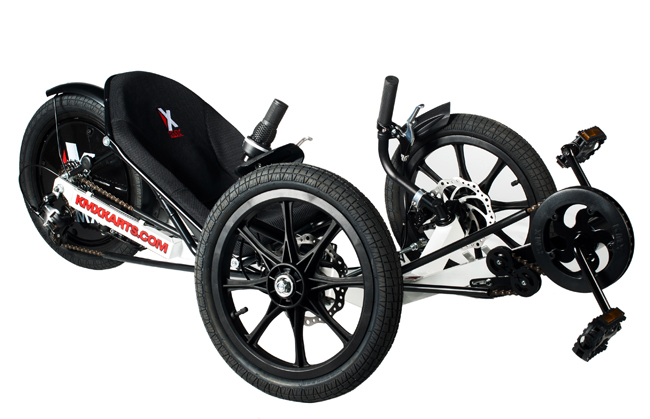 The Kompact is a great trike for Children. For adults we recommend the KMX Typhoon. 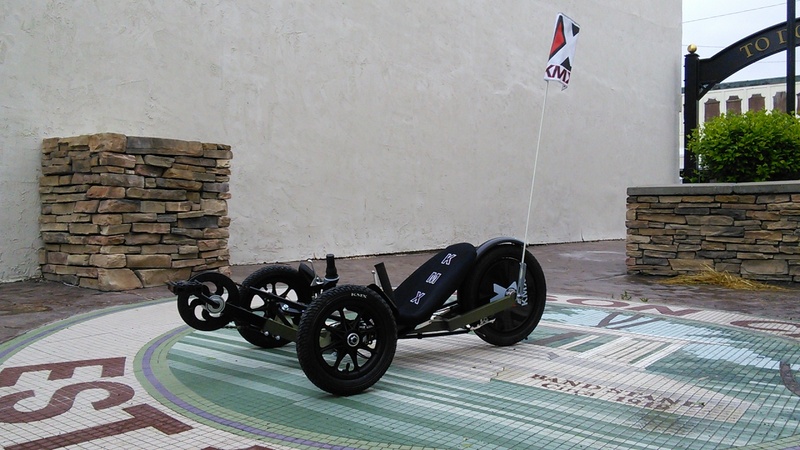 Great for smaller people and kids of all abilities due to low center of gravity and high stability. 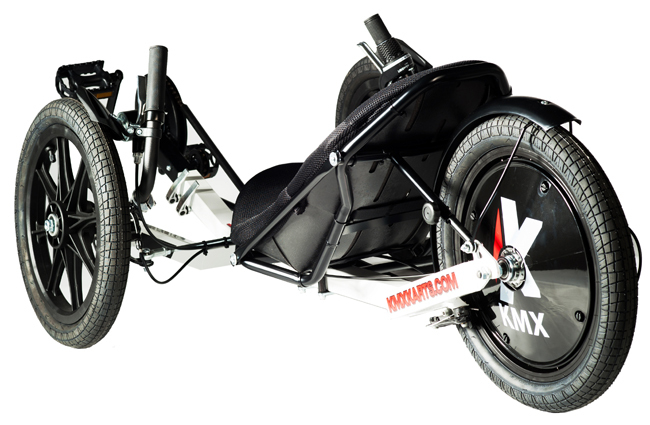 The Kompact has 11.5cm of Sliding Front Boom for easy rider height adjustment. 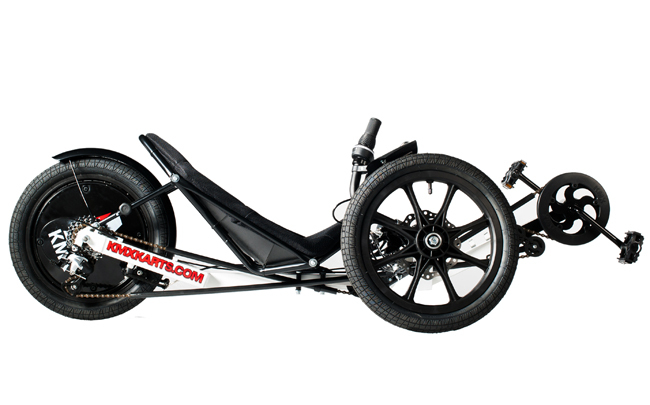 Other Features include -Self adjusting chain tensioner. -Direct Steer for responsive handling. -KMX Hardshell Bucket Seat featuring multiple angle seat position and -15cm of fast and easy sliding adjustment. -Oversized Super Glide Pulley for smooth chain management. -Simple and quick assembly. -Very robust and low maintenance. 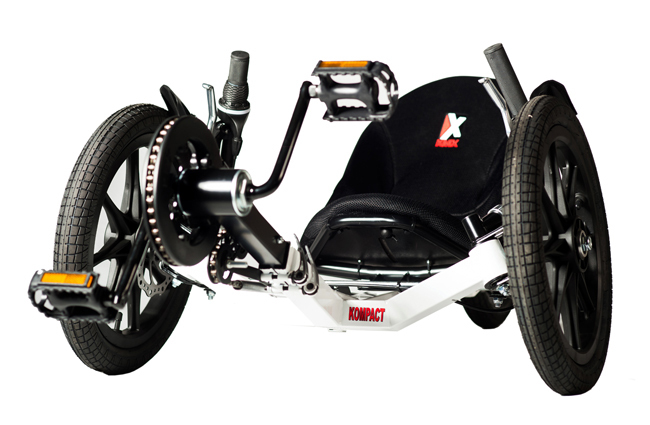 Great for people of all abilities due to low centre of gravity and high stability. 11.5cm of Sliding Front Boom for easy rider height adjustment. Direct Steer for responsive handling. KMX Hardshell Bucket Seat featuring multiple angle seat position and 15cm of fast and easy sliding adjustment. Oversized Super Glide Pulley for smooth chain management.